PM-1, Power Meter, coax cable tester. 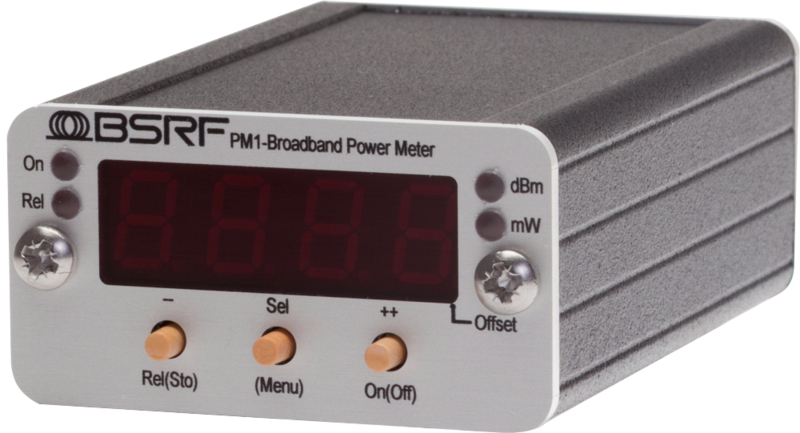 PM-1 Broadband RF power meter, the Swiss knife of RF. Check easily your coaxial cables and your transmitters. 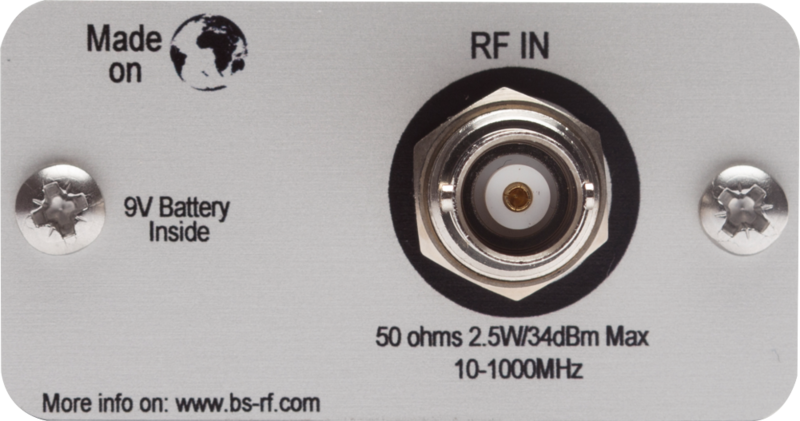 Measure attenuation of coaxial cables, test RF power of your transmitters in the 10MHz-1000MHz range. 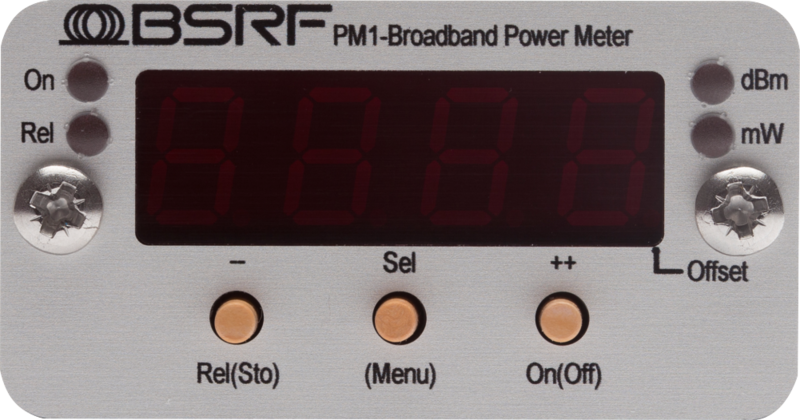 Simple and accurate it will be the ideal RF companion of sound professional but not limited to. 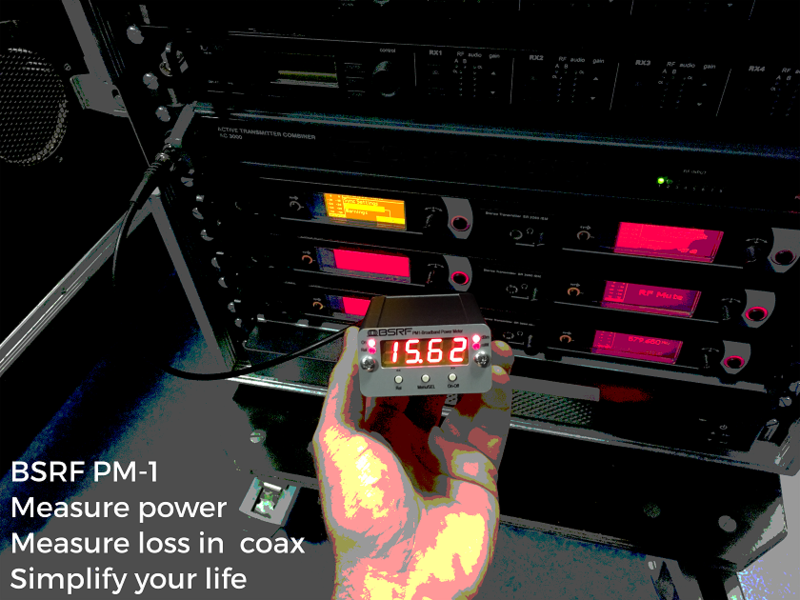 Measure rapidly insertion loss of coaxial cables with PM-1 and a RF source like IEM or pocket transmitter. Measure directly power from 33dBm(2W) down to -20dBm(0.01mW). Display result in mW or dBm it’s up to you. 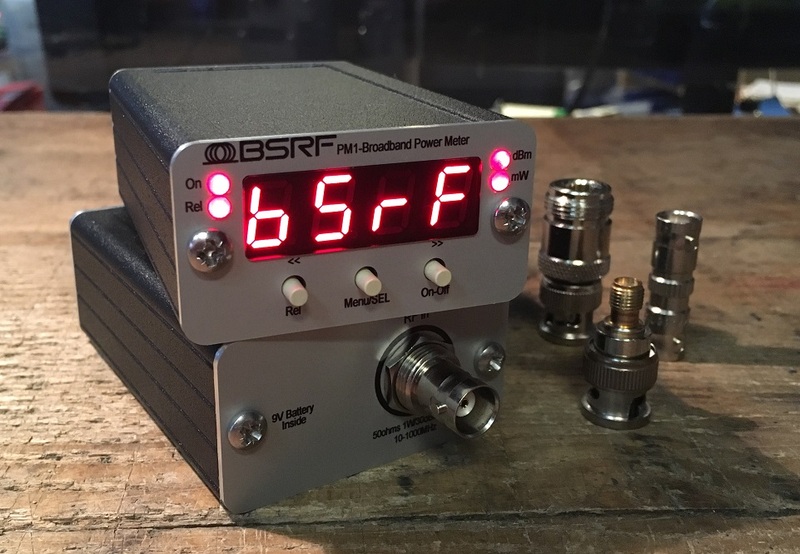 Advanced user will appreciate positive or negative offset to measure more power with an additional external attenuator or less power with an additional amplifier. Do you need to take a look on the power of a critical transmitter? The PM-1 used with a directional coupler will do the job. With his dual alarm mode (power above or under threshold) get important information when needed. Housed in a full aluminium enclosure, light and rugged.